A new career position has opened up for the San Diego Tourism Authority supporting the Citywide Sales Team. The San Diego Tourism Authority is a private, non-profit, mutual benefit corporation composed of approximately 900 member organizations, businesses, local governments, and individuals seeking a better community through the visitor industry. San Diego Tourism Authority (SDTA) members include tourism-related entities in such categories as lodging, dining, arts & attractions, shopping, and transportation, among others, as well as other companies indirectly involved in the visitor industry. 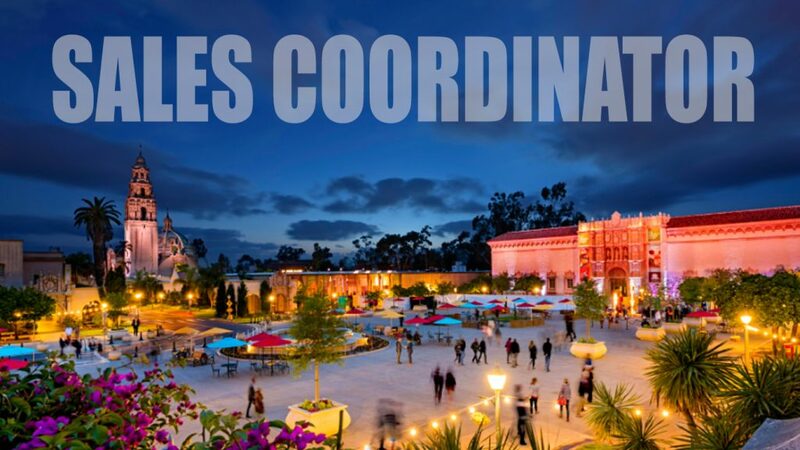 As a sales and marketing organization, the main objective of SDTA is to promote and market San Diego County as a vacation destination and convention site. SDTA also represents and supports the interests of the visitor industry as a whole. The Citywide Sales Coordinator will organize and maintain the activities of the Eastern Regional citywide Sales Team. Interpreting, expediting, and responding to information along with exercising discretion when coordinating business activities. Respond to business inquiries. Coordinate client site visit logistics and itineraries to San Diego. Develop rapport with hotel partners. Help organize and issue sales proposals and prepare licensing requests. Assist with annual client event and various group lunches and other special projects as assigned. Assist with all aspects of client amenities. Assist VP with compiling and maintaining information for budget preparation. Arrange all travel and hotel accommodations for VP of Sales, National Sales Directors and complete expense and sales activity reports. Job may be located in San Diego or in the Virginia office with the ability to move to San Diego.